Mas Selamat Kastari, the Jemaah Islamiyah (JI) leader who escaped from Whitley Road Detention Centre last year, has reportedly been arrested in Malaysia. Mas Selamat gave his guards the slip while he was being taken to the toilet at the detention centre on 27 February 2008. He was involved in a plot to hijack a plane and crash it into Singapore’s Changi Airport. Mas Selamat’s escape resulted in the dismissal of the detention centre’s superintendent over security lapses. The superintendent’s deputy was demoted. 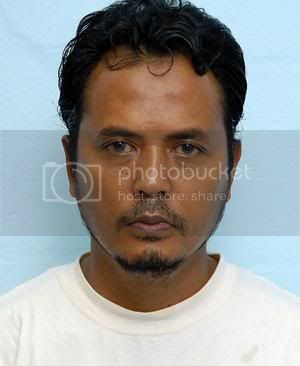 Mas Selamat was first arrested by the Indonesian police on Bintan island in January 2006. He was detained for using a fake identity card. Based on investigations then, Indonesia’s elite anti-terror police then discovered he was the leader of the Singapore Jemaah Islamiyah network, a terrorist organisation.